Continuing my posts on our recent MCM church plants, we’re going to look at our most recent church plant, Element Church, which was launched in August 2009. Pastor Rich Jones speaking in a Sunday morning service at Element Church. Element is a unique church that meets in a very non-traditional environment, Mr. Smalls Theater, a rock concert venue. Since their launch Element has really blazed the trail toward reaching the unreached in Pittsburgh. Their worship is a little edgier then most, but they are seeing people who wouldn’t normally darken the door of a church now accepting Christ! They launched on August 16 with over 230 people! The place was packed with standing room only!! On January 17 of this year, Element had its very first water baptism with 12 people being baptized and 7 more people responding to accept Christ! It was truly a transforming Sunday. You can watch the recap video here. 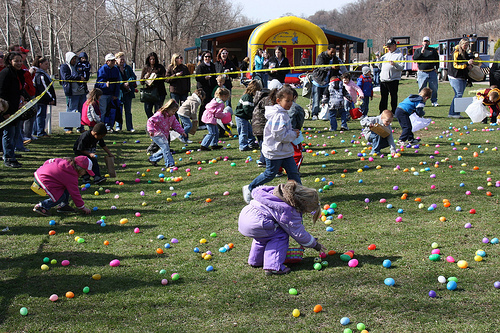 This last month, Element held their second annual ‘Great Millvale Easter Egg Hunt’ with over 300 people! What is cool with this egg hunt is that they actually partner with the Millvale community officials for this event. 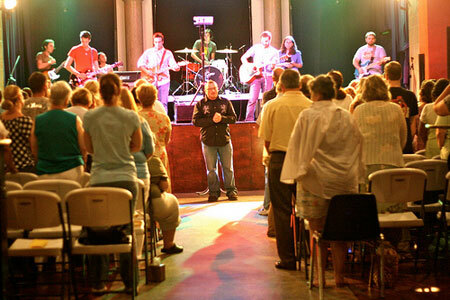 Then this last week, Element Church was actually featured in the Pittsburgh Tribune Review! What an honor and opportunity. You can see the article here. As Element approaches their one-year anniversary this August, we know that God is really moving in Millvale through Element. This community that has experienced so many set-backs now has a group of believers serving and pulling for the success of Millvale! That’s Christianity at its finest! !